Hair loss can happen for a number of reasons. You may be stressed out or not eating right, or perhaps you have a genetic condition which makes you susceptible to hair loss. There is another reason you may be losing your hair – your hairstyle. Traction alopecia is a hair loss condition that affects men and women who frequently wear tight braids or other hairstyles that require the hair to be pulled back in a state of constant tension over a prolonged period. Traction alopecia is a form of scarring alopecia, known as such because this hair loss condition can quite literally leave scars on the scalp at the site of the hair loss. When this happens, hair loss is usually permanent and irreversible. 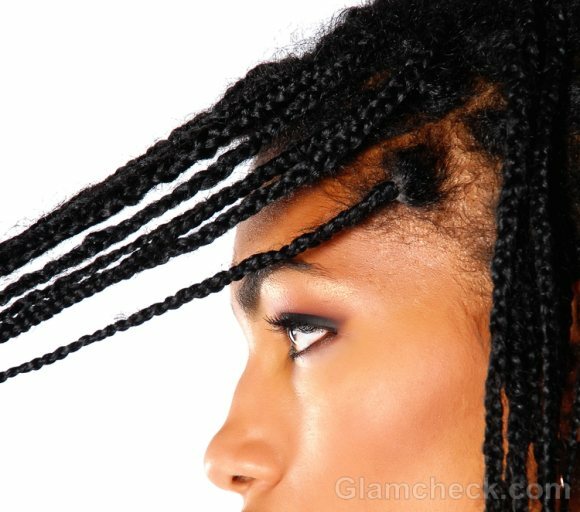 Who is at Risk for Traction Alopecia? This hair loss condition occurs mostly with African-American and Japanese women – both of whom have traditional hairdos that pull the hair back far too tightly and damage the follicles. Traction alopecia is also a common hair loss condition among the Sikh men of India who ties up their hair in turbans all day. Women who tie their hair into very tight ponytails or braids on a regular basis are also at high risk for traction alopecia. 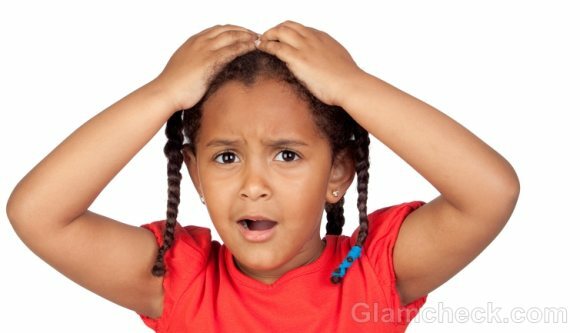 Hair loss due to traction alopecia is more likely to affect children and young adults than older people. As mentioned earlier, hair loss due to traction alopecia is mainly caused by tight hairstyles that pull on the hair and damage the dermal papilla. The continuous pulling damages the hair and weakens it, thus causing it to break easily. Over-use of chemical-based hair products like dyes and bleaches can also lead to hair loss from traction alopecia. These products are strong enough to disrupt the keratin structure of the hair, thus reducing its tensile strength. This can make the hair so fragile that simply brushing or combing it can cause scary amounts of hair loss. Finally, constant straightening or perming of hair can also cause traction alopecia. Your tight hairstyle may not just cause hair loss but headaches too. If you experience frequent tension headaches and generally wear a tight ponytail, braid or bun, then it is very likely that you are suffering from traction alopecia. Another symptom of traction alopecia is a red and itchy scalp. If you have bald batches at random locations on your scalp, it is another sign of traction alopecia. The most obvious symptom of traction alopecia is hair loss and hair breakage. Your hair loss pattern will depend on the type of tight hairstyle you frequently wear. For example, cornrows can cause hair loss in the areas around the braids while the areas where the braids actually are are left unaffected. 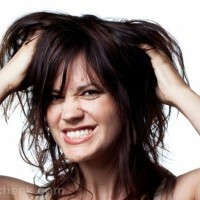 If you wear ponytails or a tight braid, the highest point of tension is near the temples and on the front of the scalp. So it is likely that your traction alopecia hair loss will manifest around the temples or on the front of the scalp. The treatment for traction alopecia will depend on the stage of hair loss and how early it is diagnosed. If detected early, hair loss from traction alopecia is reversible to an extent. The first step is to put a complete stop to hairstyles that can pull and further damage the hair. Once the constant hair pulling has ceased, the hair that was lost should grow back over time. But some hairs may never grow back. Consult a dermatologist or a hair specialist for a confirmed diagnosis and to evaluate your hair loss condition. The doctor may prescribe a topical or oral antibiotic, or even both. There are even anitbiotic injections you can take to prevent further hair loss from the traction alopecia by soothing the inflammation on the damaged areas of the scalp. Inflammation is not conducive to new hair growth. So by reducing the inflammation, your hair has a better chance of growing back. Avoid the use of chemical hair products. Opt for shampoos and conditioners with natural ingredients. Keep your hair clean. Bad hair hygiene can cause infections or scalp conditions which can exacerbate the traction alopecia. Massage your scalp once in a month. This can stimulate new follicle growth. Don’t blow dry, curl or straighten hair for a few months. You can try using hair loss products which will calm the scalp and stimulate new hair growth at a faster rate. The efficiency of such products may differ from person to person. And there are several traction alopecia hair loss products that are complete shams. With a combination of these tips, your hair loss from traction alopecia should be reversed in a few months. Late stage traction alopecia is irreversible. The only option left to people suffering from traction alopecia in its final stages is to go for a hair transplant with hair grafts.